Straight stair lift tracks can only travel in straight lines, they cannot turn a corner or go around a bend. We offer a range of straight stair lifts to suit your individual requirements. Curved stair lifts have tracks that are specifically designed to suit staircases that turn corners or are spiral. Tracks are made to order following a survey of each individual staircase. 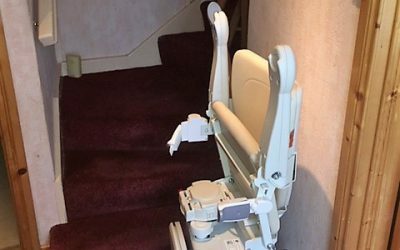 At Beechfield Stair Lifts we offer a professional and efficient service. If you’re looking for advice on products which can enhance your client’s mobility, we can advise and assist you. You may be entitled to a grant of up to €6,000 which may cover 100% of the cost of the work. What you need to know and what questions you should ask. 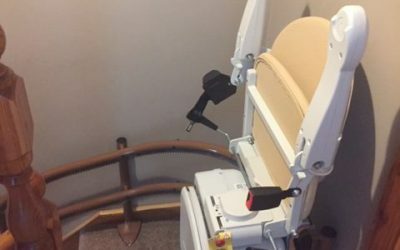 What is the best stair lift for me? 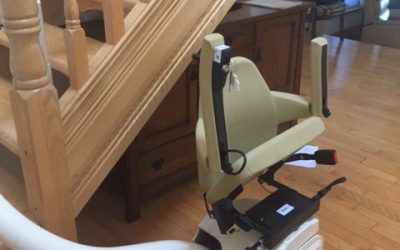 How is a stair lift operated? Is there a grant available? Free €100 or €250 Beechfield Healthcare Voucher with every stairlift installed.